Thank you to the team from Hartz for the courtesy of providing promotional product for editorial purposes. We recently gave our cats a new treat to enjoy, Delectables Lickable Treats, it's a wet cat treat available in three unique and delicious textures including stews, bisques and chowders. 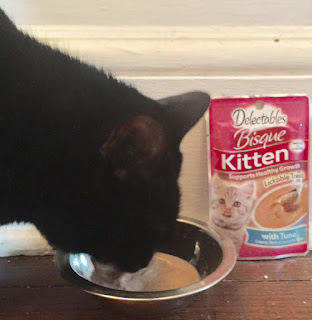 The five new flavors include Bisque Kitten with Tuna, Bisque Kitten with Tuna & Chicken, Stew with Chicken & Veggies, Bisque with Tuna & Veggies, and Chowder with Tuna & Veggies. 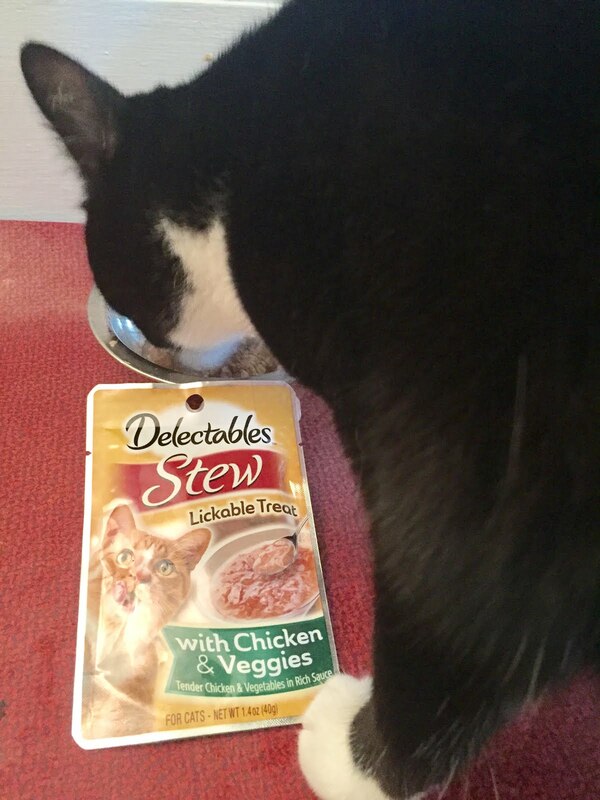 Conveniently designed as an in-between meal treat or to be served as a savory topper for dry cat food, Delectables Lickable Treats' single-serve pouches provide cats with appetizing treats prepared with real chicken, seafood, and vegetables. 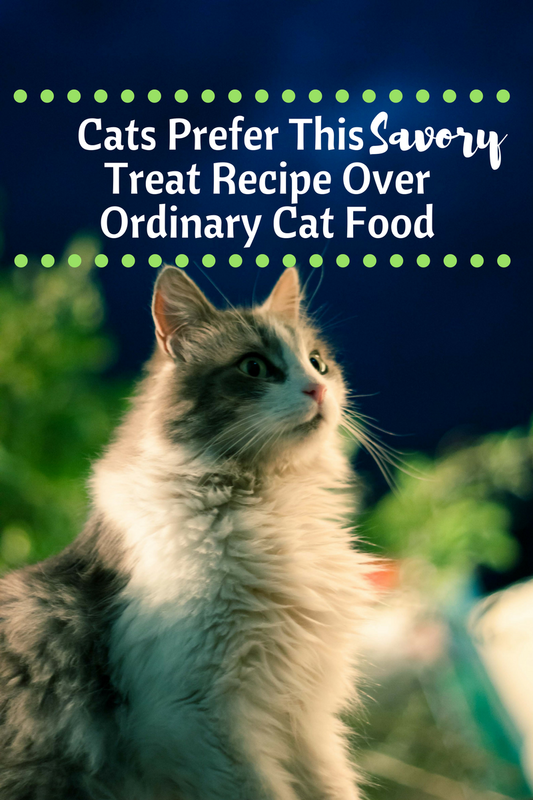 Delectables Lickable Treats are specially formulated in multiple varieties including life stage for cats from kittens to seniors, about 15 years old. Delectables Lickable Treats want to see your cat's #EmptyBowl. 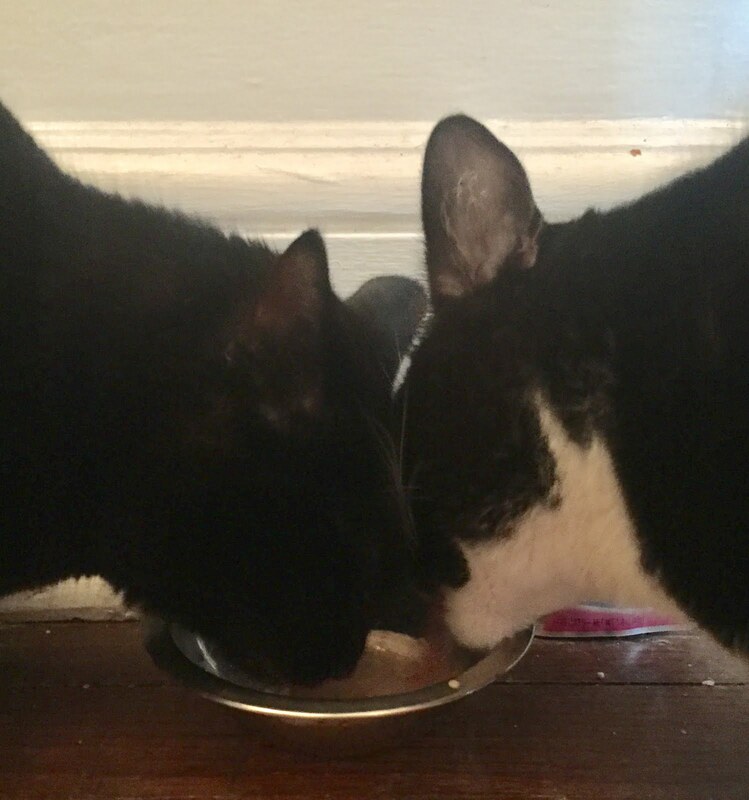 Head over to Hartz's Facebook, Twitter, and Instagram pages to share photos and videos of how fast your cuddly cats lick up their Delectables. Remember to use the hashtags #lickitloveit, #emptybowl, and #catsgocrazy4Delectables, to participate in weekly drawings for a chance to win even more Delectables Lickable Treats.